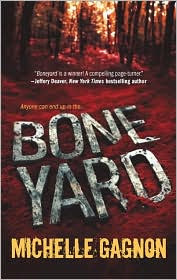 BONE YARD is another fab suspense thriller from Michelle Gagnon. 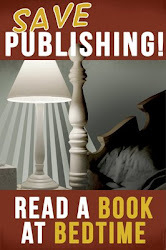 It gets the reader going immediately and the twists and turns are definitely unexpected, but not gratuitous as some authors like to throw out. I stayed up as late as possible to finish last night, but had to put it down until this morning, so woke to the rather gravelly satisfying ending. FBI Agent Kelly Jones is about to go on vacation when a hiker on the Appalachian Trail discovers human bones. Agent Jones is assigned to assist the local authorities and becomes enmeshed in a boneyard discovery, animosity from some of the local police and what looks to be more than just this murder. Oh yea! I literally just read a mini-review of The Tunnels and the blogger really liked it and looks forward to the sequel. And now, here you are with a review for the sequel! I'm so glad you liked this one, too. The first is on my TBR list. Joy: THE TUNNELS is super and I was so happy that BONE YARD was just as good. I think you will like Michelle's work. I've not read any Michelle Gagnon - but this one sounds interesting! Thanks! Bobbi: I hope you do try her and like her. She's a nice person, too, as well as a talented author.